Shane Lowry 'playing' Pebble Beach's famous par 3. 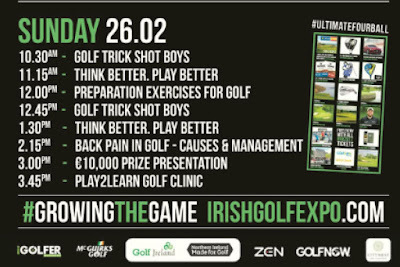 The Irish Golf Expo is on right now – today and tomorrow (Sun 26 Feb). 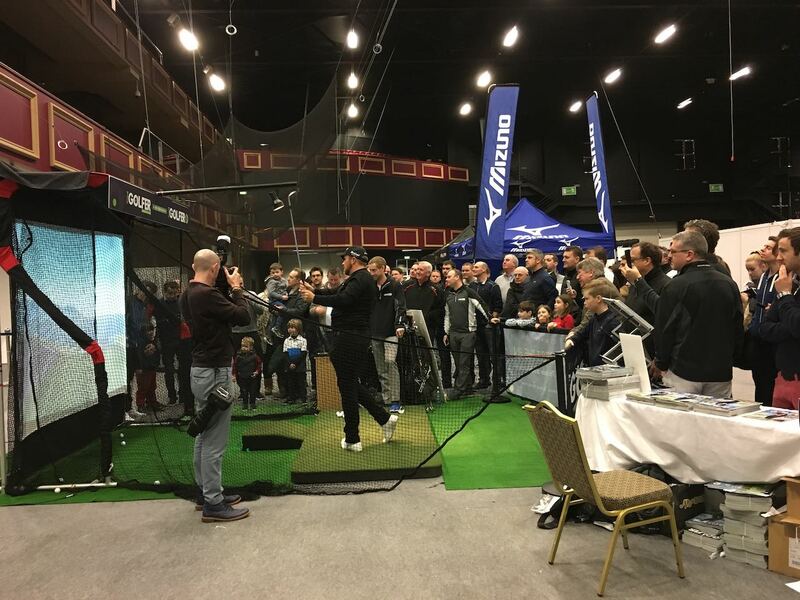 It’s out at Citywest Hotel, with free parking and a whole blaze of golf enterprises. 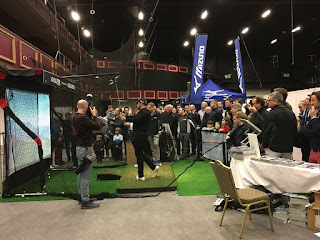 I was there for three hours this morning – Shane Lowry even timed his visit to ensure that I’d be there – and a good early morning crowd gave the place a strong buzz. 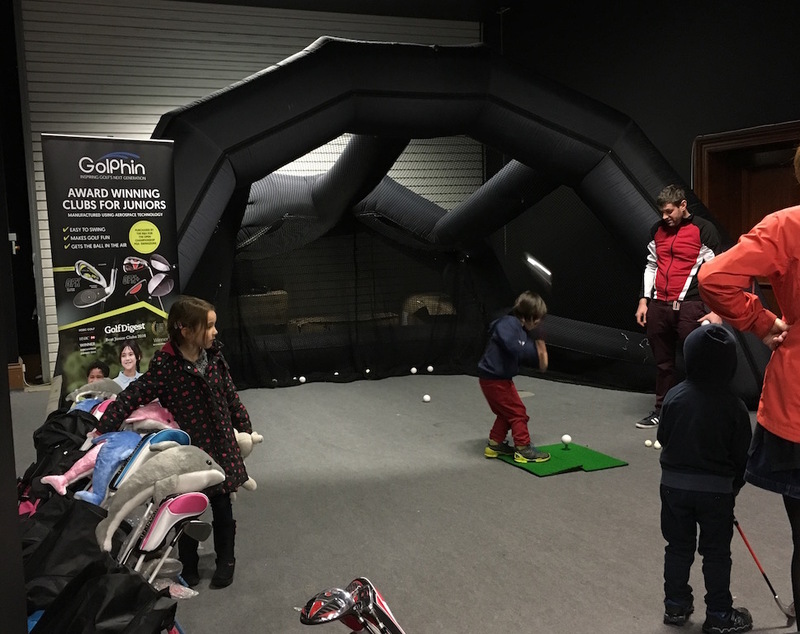 much every one of the 80 stands has a prize draw running – be it for a fourball (e.g. Carton House at the Frank Keane BMW stand), numerous fourballs (Tom Kennedy has vouchers for Tralee, Dooks, Enniscrone and Carne), a mini-break or a new Motocaddy (My Golf Group). There are custom fitters, the latest golf clubs, chances to win prizes (the big one is worth €10,000), a dedicated Kids Zone (see photos), numerous golf clubs promoting their courses, the pleasure of sitting in a new Maserati, playing the famed par 3 at Pebble Beach, chipping in to washing machines (in true Rory fashion), trying to hole putts for prizes, arranging trips overseas, arranging trips at home… the list goes on. I had planned to take a load of photos to post on this blog but you end up in so many conversations you tend to forget to use your phone. Sorry. 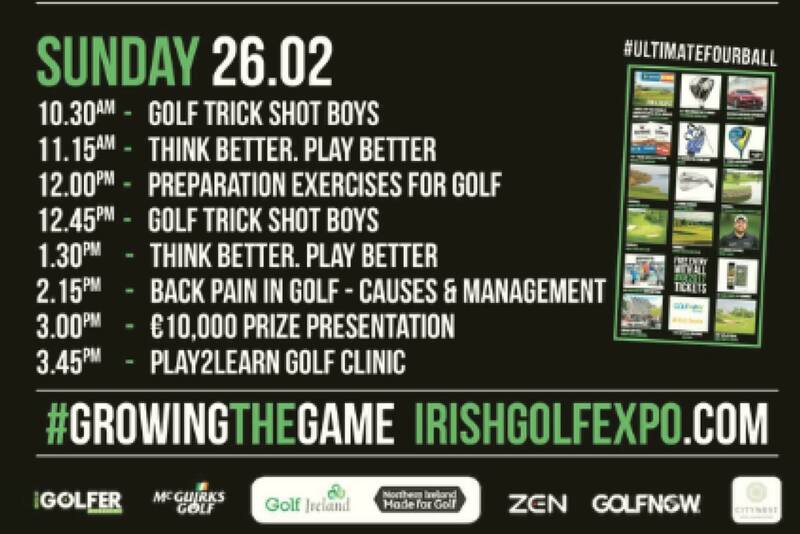 You can buy tickets on the door… but if you buy your tickets online you can claim a free green at one of hundreds of Irish golf courses, thanks to GolfNow. 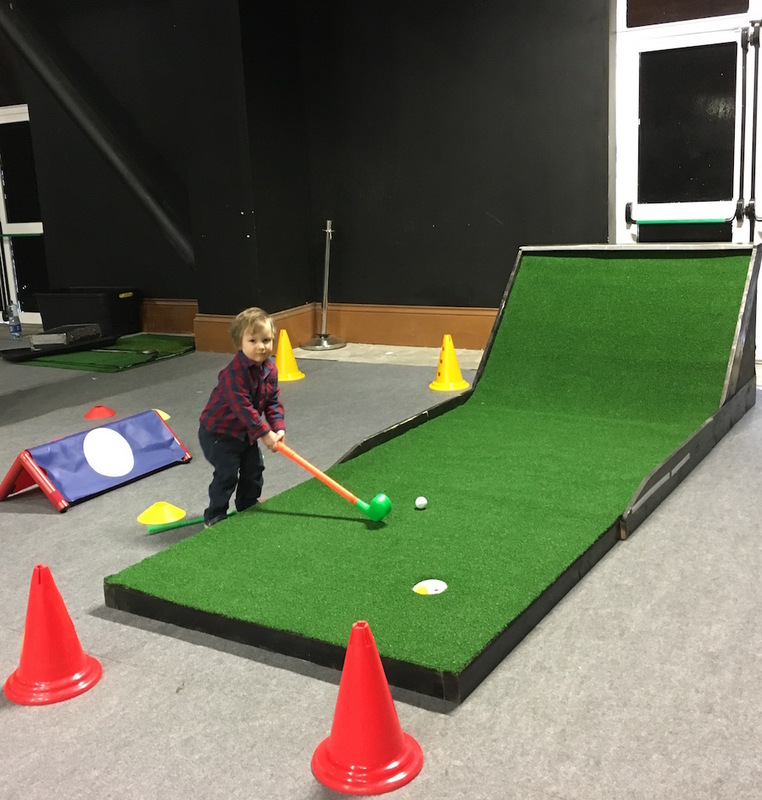 Take a look, take the kids, have a fun day out – who knows what might come your way.